Larry Calderone has been a police officer in Boston since 1994. He has been assigned and stationed in Area’s B-2 (Roxbury), B-3 (Mattapan), Special Operations (Motorcycle Unit & SWAT Team), and is currently E-5 at (West Roxbury). Throughout his career, Larry performed the duties of a uniformed officer serving the citizens of Boston by responding to E911 calls for service, providing dignitary protection, traffic enforcement and SWAT duties while in the motorcycle unit, working anti-crime and community services in West Roxbury, and is a National Highway Safety Traffic and Safety Certified Crash Reconstructionist. Larry has served as a representative of the Boston Police Patrolmen’s Association for approximately 20 years and has held positions serving on the Bargaining Team, By-Laws Committee, Detail & Overtime Committee, Health & Safety Committee, and Labor Management Committee. Currently, Larry serves as the Legislative Director for the BPPA handling communications, governmental affairs, and public relations at the Massachusetts State House, Boston City Hall and various other entities and organizations within the commonwealth to support and advocate the interests of Boston police officers. 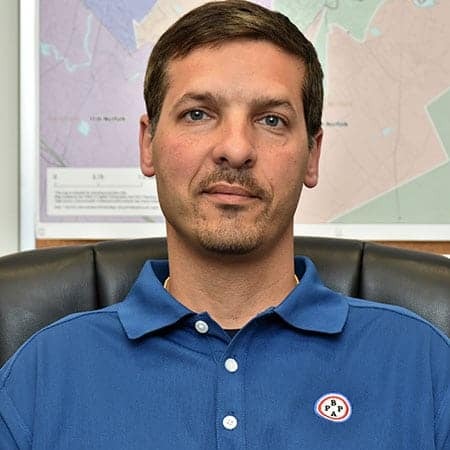 He is also a member of Massachusetts Joint Labor Management Committee representing police union organizations across the State of Massachusetts on collective bargaining negotiations. He has held the position of Legislative Director within the BPPA Leadership Team since January 2015. Larry Calderone was born and raised in the Jamaica Plain section of Boston, Massachusetts. He is a graduate of Catholic Memorial High School in West Roxbury, has a Bachelor’s Degree in Criminal Justice from Western New England College, a Master’s Degree in Law Enforcement from WNEC, and is set to graduate from Suffolk University with a Graduate Degree in Public Administration in the Winter of 2018.